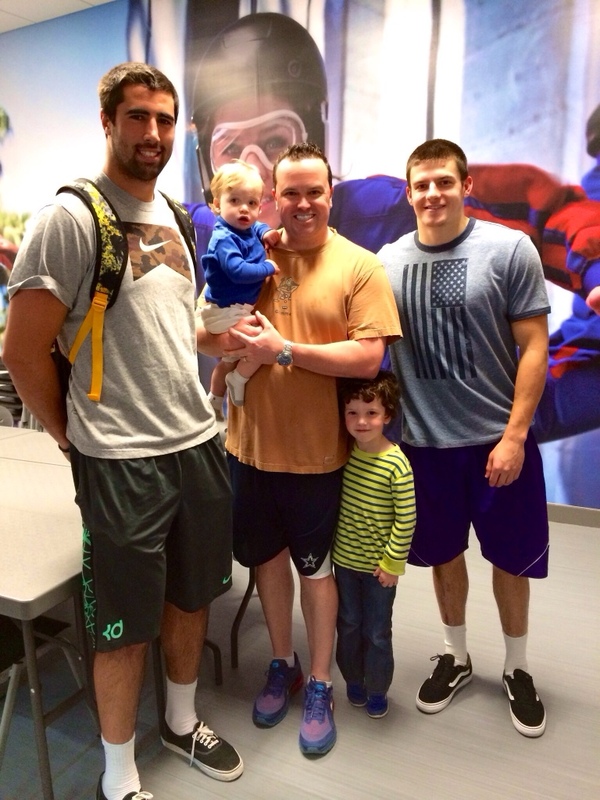 Dallas Cowboys Gavin Escobar and Jeff Heath at iFly in Frisco Today! 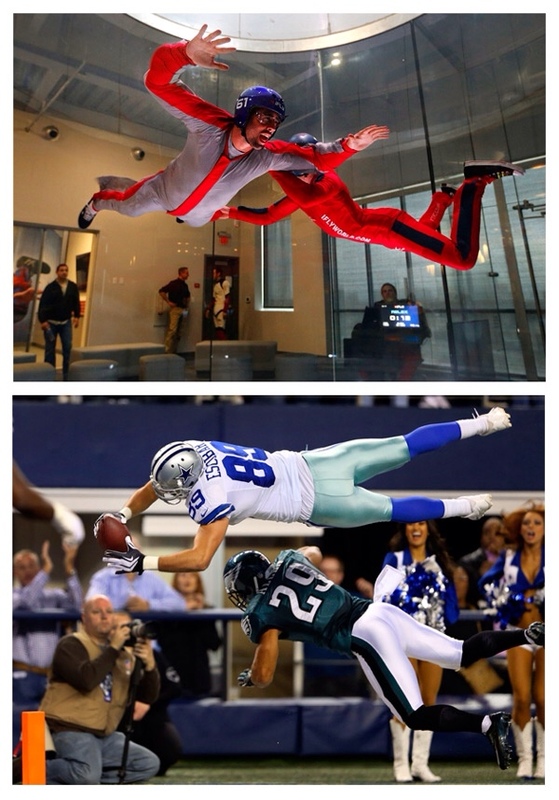 Today Dallas Cowboys Rookies Gavin Escobar (TE) and Jeff Heath (SS) were trying out iFly in Frisco. With the move to Frisco most likely in 2015, they were here taking a couple flights and scouting out the area. And luckily I had both of my boys Jake & Jax with me to snap a pic! Gavin Escobar was selected in the second round out of San Diego State and proved to be a great addition to Jason Whitten and James Hanna. He has fantastic hands and is HUGE! 6-4 or 6-5 I think. Jeff Heath wasn’t chosen in the draft but picked up immediately after by the Cowboys and played nearly every game due to JJ Wilcox being injured early and was very dependable throughout the season. But the real question is, what new community in Frisco suits them best. Young and in their early 20’s, I would say Park Place in Frisco. Great location, high-end finish out and very close to the new Cowboys Training Facility. 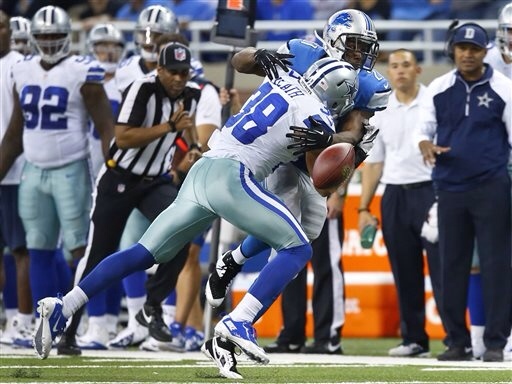 Keep a look out for more Dallas Cowboys around town like Gavin Escobar and Jeff Heath in the near future. 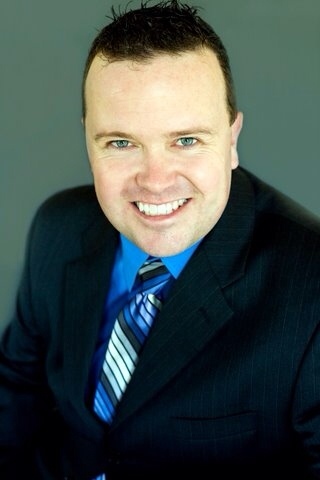 For more on Frisco new home communities, text or call Brad Holden today at (469)733-2723. ← EXECUTIVE MEDITERRANEAN Custom Stucco West Plano Home North Facing for Under $400,000!